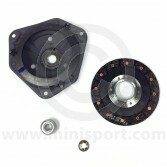 At Mini Sport, our collection of high quality Clutch Kits have been manufactured using quality materials, for simple Classic Mini Clutch replacement. 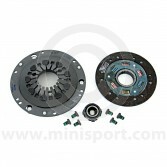 We supply 3 Piece Clutch Sets for Minis with Verto and Pre Verto Clutch Systems, Minis from 998cc to 1275cc, Mini Clutch Sets for Carbuerettor or injection Minis and Heavy Duty and Standard clutch types to suit your Classic Mini model. 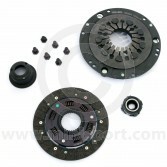 Explore our Clutch department for a comprehensive selection of essential Clutch Parts & Components, including Clutch Cylinders, Clutch Diaphragms, Clutch Arms & Plungers, Clutch Plates and Clutch Hoses & Pipes.